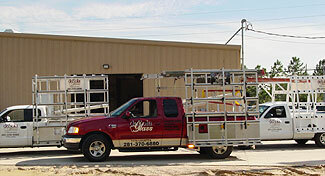 Designer Showroom Visit Our Showroom Today! 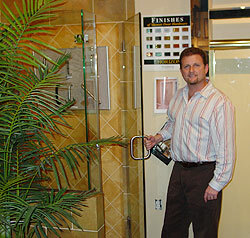 Dayle said he never tires of hearing the frequent compliments regarding their showerdoor showroom. Customer like to have options when choosing their enclosure and many are quite surprised at the many glass options to select from. 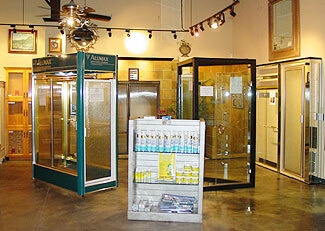 There are many glass patterns that have only become available recently so the customer is advised to either stop by the showroom or view the glass options web section. Towel bars to match the finish of the hinges and handles are another feature that is available that can be added to a frameless glass enclosure.